Culture and climate, sport and adventure: Sydney offers activities for every member of the family. Let’s have some fun! The capital of New South Wales, Sydney, is located on Australia’s south-east coast on the Tasman Sea, and with a population of over 4.6 million, it is the most populous city in Australia. This cosmopolitan centre combines the best of city chic with open spaces and access to waterways, beautiful nature areas and heritage sites, and plenty of activities available for residents and the huge year round influx of tourists. The iconic Sydney Opera House marks the city skyline and is perhaps the most recognized structure in all of Australia. A cultural centre for the performing arts, the Opera House has performances geared for families throughout the year, from musicals to theatrical presentations. One-hour tours of the Opera House depart most days on the half hour, and it’s fun to nose around during the longer morning tour that lets visitors peek into stars’ dressing rooms. 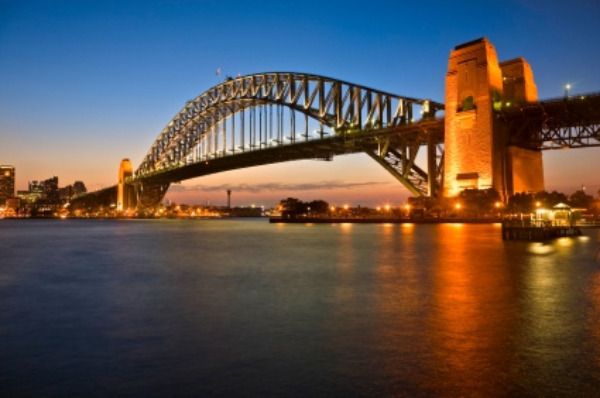 Aussies love their entertainment, and there are plenty of opportunities in Sydney to enjoy performances at the City Recital Hall, the Sydney Dance Company, the State Theatre and Royal Theatre, the Sydney Conservatorium of Music, the Sydney Theatre and the Star Theatre. The National Institute of Dramatic Art based in Kensington boasts some internationally famous alumni, including Mel Gibson and Cate Blanchett. Sydney has several popular museums with ongoing exhibits and displays geared to the younger set. The Australian Museum is known for natural history and anthropology, the intriguing Powerhouse Museum covers all things pertaining to science, technology and design – fascinating for children, and the Australian Maritime Museum is a centre for sea lore and history. Spectacular scenery takes Sydney residents outside to enjoy the beach and green spaces and outdoor activities. Even in the city there are plenty of recreational areas for walks, biking, rollerblading, and jogging. The metropolitan area contains several national parks, including the Royal National Park… or spend a family day strolling through the Chinese Garden of Friendship, Hyde Park, or marveling at the otherworldly beauty of Australia’s flora and fauna at the Royal Botanic Gardens. One of the world’s greatest beaches, Bondi Beach, is the closest to the city centre and has consistently good waves. The salt-water sea baths at either end of the beach are a favourite for kids and a nice alternative to a rough and tumble ocean swim on days when the sea is rough. Daredevils will thrill to the Bridge Climb at Harbour Bridge. Just make your way through the departure lounge and the extensive training session, then gear up – headset, safety cord, and a snappy jumpsuit – and up you go! On the bridge’s curved span the track is wide, so even those intimidated by heights can manage safe footing and be rewarded with spectacular views of the city and bragging rights on a brave and unique adventure! Sport is an important part of Australian culture, so there’s always a match to enjoy! Rugby and cricket are the most popular, but other sporting events to check out include the start of the Sydney to Hobart Yacht Race, Golden Slipper Horse Racing, and the City to Surf Race.